This workout is meant for advanced junior high school and high school students, but can serve as a fine review or starting point for flutists of all ages. I had the pleasure of taking it for a spin it at several schools in Casper, Wyoming a couple of weeks ago (thanks for your hospitality, Natrona County schools! ), and we also teach a lot of these materials every summer at the Wyoming Summer Flute Intensive. I hope readers will find something new, something improved, or at least a helpful reminder, somewhere in this collection; now is a great time to start establishing a routine you can maintain all summer! Springtime means dieting...from social media! I am trying to think of all the ways in which my lack of self-control around social media has diminished my quality of life. Does every morning when I should be practicing my scales and long tones mindfully count? Because I often find myself at the end of the low register wondering how I got there. And I am definitely guilty of unnecessarily repeating those left-handed fingerings to click on a particularly adorable cat video. Or how about all of the conversations I have missed before and after gigs because I'm busy posting that I am about to do / just did said gig? The annoying photos after a master class where we all have to ham in front of 5 or 6 people's phones on stage? And then there are the work emails I really don't need to read immediately, but I do, and then spend an entire 4-hour hike (or all night in bed!) obsessing over the "fire" I'm going to have to put out when I get back to my phone. I'm doing some spring cleaning right now, and I'm targeting my daily routines (though I also Mario Kondo'd the heck out of my sock drawer yesterday). So if you're like me (and in this way at least, I bet you are) and could stand to go on a social media diet in order to be more present in the world around you, may I share some tips I've dug up along the way? Self Control: Block the internet when you're working on your computer. Consider deleting mobile apps: You can't function in Insta on your laptop, but you can definitely live without Facebook on your phone (and maybe save yourself a little privacy in the process). Same with Twitter, and who needs that much toxicity at their fingertips, anyway? Search with purpose: Start asking yourself why you're getting on and what you're looking for. If your answer is "???" or "boredom", set the phone aside! Take off weekends (or whatever time frame works for you): Have a weekly scheduled down time to get outside, remember the color of your partner's eyes, or cook an amazing meal. Give yourself a time limit: You can limit the amount of time you'll allow yourself to surf and the number of times a day you do it. I look at Instagram with my second cup of coffee after breakfast, for instance, and that's it. I don't log in to Facebook until afternoon, and I use it as a practice break, etc. Build in little brainless treats for yourself and leave it at that. Keep a calendar for future posts: If you're making posts for business/self-promotion/etc., you can plan them out and even write them offline. Stick them in your Google (or whatever you use) calendar and then all you have to do it get in, drop the post, and get out. Social media doesn't have to be the devil in your life, and it's a great (free) tool for reaching out and staying relevant. But we could probably all use an occasional reminder that "a little goes a long way". Happy dieting! I don't know where this graphic comes from--I've seen it shared on Instagram and Twitter in recent months. So, my apologies up front to whomever was kind of enough to originally create this diagram and share this crucial information. As a college professor, I tackle the issue of working outside our comfort zones every week in flute lessons, in my online music appreciation course, and with my entrepreneurship students. A college-bound high school senior, more often than not, leaves an environment in which they have been at the top of the heap for years, surrounded by the same people who have known them their whole lives and have already decided they're brilliant. When they set foot on campus as new university students, they become novices compared to their older classmates, not only in school but in general life skills and experiences, as well. This can be a real blow to the ego (there's no shame in admitting this), and I find that it's how any given student responds to this discomfort that will determine their success as they move forward. If you think of your own life, it has been a series of these waves: you enter into a new community (primary school, high school, college, first job, etc. ), conquer its challenges, and rise to the top. Then you move on when you sense there's nothing more to learn or achieve. To me, a happy life is never leaving this process; for some, the comfort of staying put within a conquered world is the goal. It's comfortable to know everything and never need to prove yourself to anyone. But it's BORING. And that's all you need in order to move forward: the genuine conviction that making yourself temporarily uncomfortable in order to absorb new information is worth it to avoid the inevitable boredom of treading water for the rest of your life. Psychological researcher Carol Dweck describes this perfectly in Mindset, which we revisit and discuss every year in the flute studio at UW. Briefly, if you decide to embrace the discomfort of challenge, you will enjoy it. If you decide you would rather always be correct, you'll never step outside your comfort zone and thereby atrophy. But do yourself the favor of reading this inspiring book; don't just take my word for it! As my students look forward to graduation in the coming month, moving on to graduate school or their first teaching jobs in new communities; as my colleagues (and I!) look ahead to summer and devise new projects for ourselves to remain relevant and artistically charged; and as my future students march ever forward towards college and the beginning of their adult professional lives, I wish us all the strength to continue challenging ourselves and finding joy in those challenges. I'm doing some internal spring cleaning right now, deciding what life jackets to throw away and what remote island I'll swim to next, and I encourage you to do so, too! Thanks to record-early communication from the NFA convention chair, the flute community is all talking about what and when they'll be performing at the annual convention this summer. I am particularly excited about the opportunities I'll have to share ideas and a great new piece for flute and piano, and the fact that it's actually within driving distance for us in the Colorado/Wyoming region makes it that much sweeter! 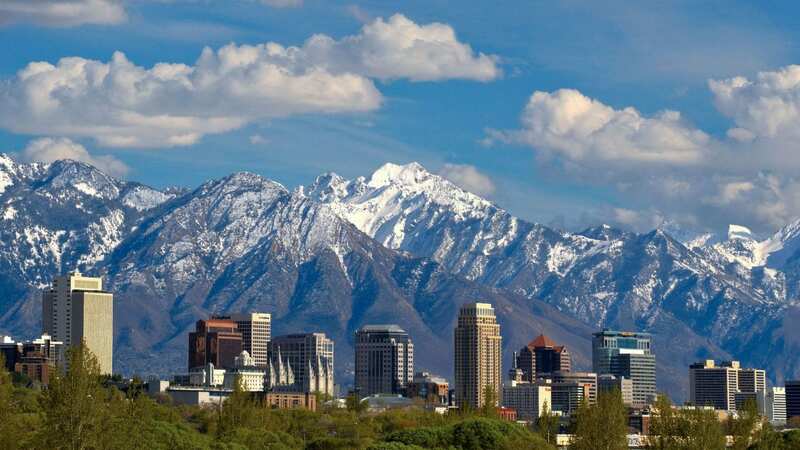 I hope to see many colleagues and students from the Rocky Mountains at this year's NFA convention in Salt Lake City! I am thrilled to be performing a fantastic piece, four pieces for flute and piano, by Philadelphia composer Joseph Hallman on Thursday, August 1 at 10:30am. Each movement is dedicated to a different composer: Jolivet, Muhly, Lynch, and Poulenc. Joe does an amazing job of getting inside each composer's style and sound profile while still sounding like himself. I was introduced to this piece through the Flute New Music Consortium 2018 composition competition; it won first place in the flute and accompaniment category. You can hear a sample of it performed by Fluter Scooter here, and come here me play and talk about it in August! Brittany Trotter, NFA social media guru, Program Coordinator of the Hip Hop Orchestra Summer Music Camp in Pittsburgh, and more! And of course, I'm excited to see what my sponsor company, Altus Handmade Flutes, has in store for us at this year's showcase. I'll also be giving sample lessons to students considering applying to University of Wyoming, and a UW student/alum dinner is in the works, so I encourage any Cowboys and prospective Cowboys to be in touch, as well. 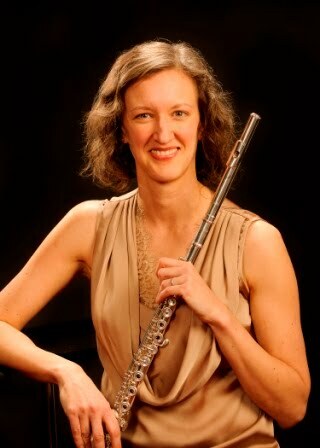 Registration for University of Wyoming's third annual Wyoming Summer Flute Intensive is now open! Spend three days with Dr. Nicole Riner, University of Wyoming, building your tone, learning creative practice tips, preparing audition music, and bonding with fellow flutists in this immersion course. Optional topics include an introduction to piccolo playing and overcoming stage fright. Come in a humble band flutist, leave a flute rock star! For advanced junior high and high school flutists, grades 8-12. Final schedule subject to enrollment. This reduced-tuition opportunity is available subject to our ability to meet minimum enrollment. We always change up some of the schedule, so returning students will get a new experience each year. Online registration is available here and will be open until May 17, 2019. Email if you have questions! nriner [at] uwyo [dot] edu.